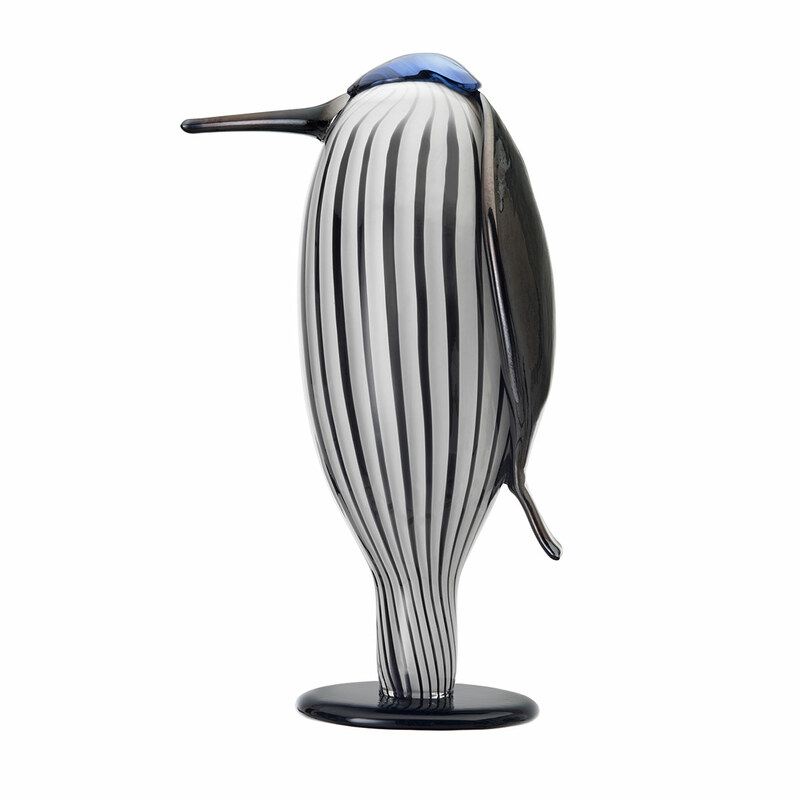 More about iittala Toikka Butler Only 2000 of these 2014 birds were made, each numbered. The iittala Toikka Butler was inspired by the traditional notion of a formal butler, with his shoes always polished and his demeanor always cordial. His character is far from stuffy, however; though he abides to his uniform of the classic dinner jacket with a flared out tail, he also dons stylish stripes that accentuate his proper posture from head to rounded toe. But perhaps the first feature to you'll see when he greets you is his prominent, pointed beak, followed by the sleek tuft of hair artfully handcrafted from opalescent, mouth-blown glass.